Saint Bride Hermitage was formally established by his Eminence, Metropolitan Hilarion the First Hierarch of ROCOR on the 24th of May, 2014 under his direct oversight. It had however been in existence by then since early 2012, the Metropolitan having told Fr Michael over a year earlier that he wanted such an establishment. 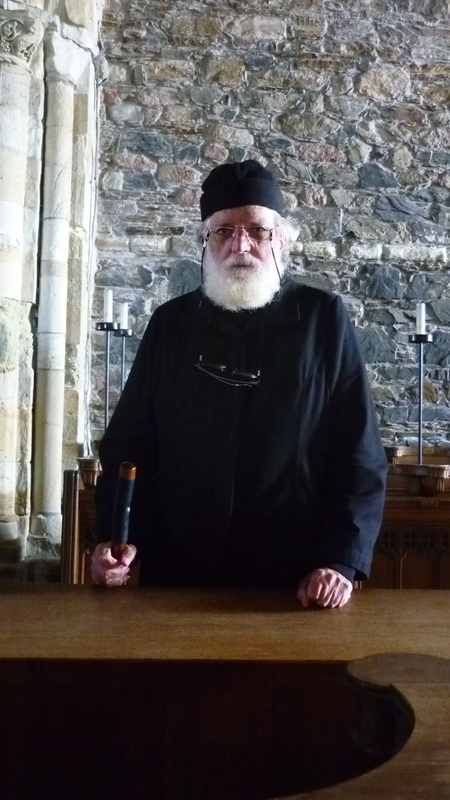 It is the first Orthodox monastic house on mainland Scotland for a thousand years. The present house is fully owned and has its own purpose-built chapel, on the edge of a woods outside Edinburgh. However it is too small for future operations and will have to be sold to finance the purchase of a bigger premises, probably in Argyll. Saint Bride’s is a traditional hermitage, a consensus of eremitic monastics each living according to their rule in association. Together acknowledging one Bishop as their Superior.